The legal system of the United Kingdom has for years, been the envy of the world. The equality of law has been a benchmark for countries to aim towards that has entitled every man and woman in our borders to be bound by the same laws, equal representation under the law and the right to a fair trial. The clowns in Westminster have decided that this beacon of justice is not financially viable and in the alleged interest of the British taxpayer legislation will ensure that £350m will be cut from state sponsored legal aid. We shouldn’t forget that it was Clement Atlee’s post-war government that introduced the Legal Aid and Advice Act 1949, the feeling at the time being that the working-class had after years of poverty and exploitation finally earned the right to equality under the law. The legislation was one of a sack-full of reforms aimed at improving the conditions of the ‘little man’ and of course make power accountable after witnessing the terrible effects of newly centralised power in Europe. There have been many inevitable reforms since, such as the means testing of legal aid in order to allocate to those who need it most, however the latest reforms can be seen as a spiteful, political dismantling of a bastion of equality that the United Kingdom should be proud to defend and further strengthen. The problem for me is when a member of the public, with a genuine qualm with a ruling that has affected their person wants to come forward for a judicial review. In these cases, public bodies are only going to be accountable to those who can afford the legal challenge. Thus those experiencing welfare cuts and charitable organisations that represent similar social groups such as homelessness charity Shelter and mental health charity Mind will no longer represent their clients interests effectively in a court of law. As a society we should surely be strengthening our legal systems to make sure justice prevails to the greatest degree possible. It is also in the interest of a civilised society to ensure that criminal cases do not lead the parties involved to take matters into their own hands and act outside of the law to resolve their problems. The continued agenda of privatisation may be lauded as the key to curbing government spending however the truth is not being spoken enough. Where previously government had to be accountable for its behaviour, newly privatised services are not bound by the same protocol and thus their influence on activities with the modified services is now becoming in the interest of profit and not preserving democracy. A Tory-led government making themselves less accountable and going unchallenged would make an excellent satirical cartoon. It would probably consist of Justice Secretary Chris Grayling and a number of ministers taking turns to poor soil onto a coffin, representative of the legal lid bill. Thus consign the most vulnerable in society to their current circumstances. The eroding of civil liberties is not particularly amusing however. There has been widespread opposition to the legislation in the legal profession with the government’s own barristers, the 145 Treasury counsel expressing the view that “restrictions on judicial reviews will undermine the accountability of public bodies” and the Church of England has even publicly opposed the reforms. Infact, lawyers oppose the reforms so strongly that they took to the streets to protest, presumably at the injustice of the changes and not because they face a decrease in wages. In keeping with other Coalition policies, consultation with professionals was not high on the government’s priority list, presumably there is just a notepad with a few pound signs scribbled. We know that the expertise of lawyers, is key to the correct outcome in a court of law, the specialised skills that lawyers develop are very specific to particular cases, in turn this ensures that justice prevails. This is especially true for legal aid cases with many lawyers finding a niche in representing cases relevant to their clients. The reducing of lawyer fees proposed in the reforms will therefore lead to an end to the quality of service these clients receive. Miscarriages of justice are going to increase unfortunately. Legal aid lawyers do not earn as much as other lawyers due to the economic background of suspects represented and this is going to put them out of business or refocus their energy on more affluent clients. These closures will lead to an oligopoly with power shared amongst a small amount of large solicitors. There is going to be a situation where good lawyers will find their profession is no longer financially tenable and the drop in the quality of service provided is a huge blow parallel to other proposed reforms. Possibly the worst element of the proposed legislation though is the decision that those receiving legal aid will be awarded contracts through ‘price competitive tendering’. Thus the right to choose who legally represents you as a poorer person is going to end as will equality under the law and fairness of trial. So, even more possibility of a miscarriage of justice. Great. Lawyers have even come out defending the working class, suggesting that the changes to our legal system will lead to the United Kingdom to becoming a ‘banana republic’ with power being completely taken away from the vulnerable in society. All of these processes that are changing are going to directly increase homelessness. Shelter use the judicial review system to hold local authorities accountable to their responsibilities to provide housing for local constituents. Then new economic pressures and decreased in quality of service is going to lead to many families becoming destitute and many homeless people staying that way. An unfortunate truth. Legal aid was hard earned and is a foundation of justice in the United Kingdom and these politically motivated reforms will take us backwards to a time in our history when the world was more unequal and power was unaccountable. 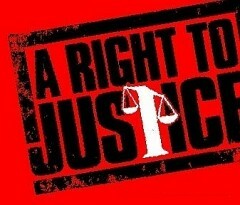 The e-petition against the Ministry of Justice proposal can be found here. Posted in: Civil Liberties, Crime/Justice/Prisons, Economy, Public Spending, Social Affairs.